RC works for the internal structure of the station continues up to the roof slab. The TBM has completed the Woodlands bound drive to Marina Bay and reassembly works for the Changi bound drive have begun with the dismantling of the backup gantries & assembly of the heavy lift crawler crane on site. 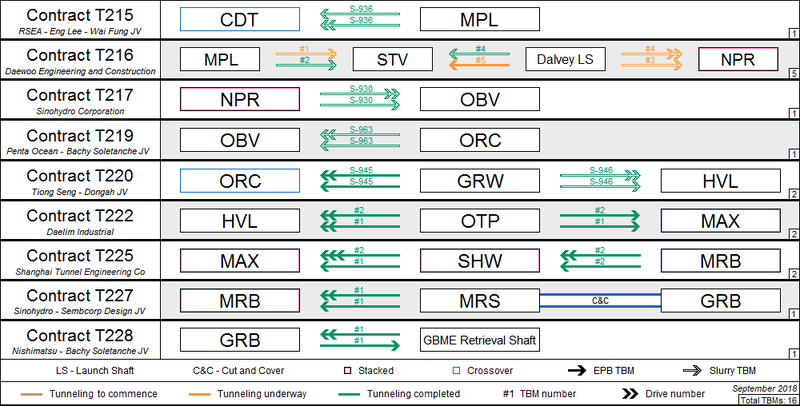 The relaunch of the TBM is scheduled next quarter - the 2nd last to be facilitated along the TEL1-3. Excavation works completed to platform level around GL12-15 at ventilation area.